Here is our handy guide for downloading your purchased product. First locate what type of key you have purchased in the email we sent you. Then select the download guide for the key from the list below, if you have purchased software in the form of an 'activation key' then please select the correct software also from the list below. 1. Go to http://store.steampowered.com/ and download the STEAM client. 2. Click "Install Steam Now"
3. Launch Steam and login to your account (create one if you havn't already). 4. Then go to 'Games' and click 'Activate a Product on Steam'. 5. Enter the key that we sent you in the email. 5. Congratulations the game has now been added to your account and can be installed/launched from your games library. If you're still struggling to find where to redeem the key please watch the following video. 1. Go to https://www.origin.com/gbr/en-us/store/download and download Origin. 2. Run Origin and login your account (create an account if you havn't already). 3. Click 'Origin' and 'Redeem Product Code'. 3. Enter the key we emailed you and click 'Next'. 4. Congratulations the game will now be in your games library where you can download/install then play it, have fun! 1. Go to https://uplay.ubi.com/ and download UPLAY. 2. Run UPLAY and login in your account (Create an account if you don't have one). 3. Click on the 'Activate a key' logo on the top bar. 4. Enter the key located in the email we sent you and click on 'Activate'. 5. Congratulations your game has now been added to the Uplay library where you can download/install and play it from, have fun! Enter the key contained in the email we sent you and then press "CONTINUE"
1. Please go to www.xbox.com and login your account (or create one if you haven't already). 3. Enter the key located in the email we sent you and click 'Redeem'. To create a US PSN account start off by logging out of your PSN account on the PS4 and then selecting new user. Now, select ‘Create a User’. This will take you through to the user agreement and, once you’ve accepted that, to a PSN welcoming screen, where you need to select, ‘Next’. You will now be at a log-in screen. Instead of entering your log-in details, select, ‘New to PSN? Create an Account’ at the bottom of the screen. Now you will come to a screen that’s titled ‘Sign up for PSN’. Select ‘Sign Up Now’. Now you need to pick your City, State/Province and postal code. We’re not sure if the postal code and city need to match up, but, naturally, we went for Beverley Hills, 90210 and that worked fine. Next, you will be asked for your Sign-in ID, which is your email address, and a password. You can’t use the email address that your UK account is registered with for a new PSN account so, if you’ve got another email account, use that, or create a new one. Once you’ve entered the necessary information you will have to enter your online ID and your name. Enter whatever you wish and then you will go though a series of screens where you have to set your preferences on how you want your name to be displayed, who can see your friends list, and so on. Once you’ve done all that, you’ve got your US PSN account. In order to redeem your US PSN code, open the PlayStation store on your PS4 while logged in to your US PS4 account (you can’t redeem US codes on a UK account) and scroll to the bottom to select Redeem Codes. Put in your code and you’ll now own the game. After logging in to your account, click the "Add Game" button. Enter your key contained in the email we sent you and click ACTIVATE GAME. You will now be able to download Minecraft through the 'Store' App on the desktop. Make sure you use the same login details for the Xbox website as you use to login into Windows. 1. Please download Advanced SystemCare 10 from here. 2. Install Advanced SystemCare 10 to your computer and click 'Enter code' underneath the Activate Now button. 3. Copy the code located in the email we sent you and enter it in the license code box and click Register Now. 4. Your free copy of Advanced SystemPro 10 should now be upgraded to the professional version. 5. Your license key should grant you a 12 month subscription to the pro edition features for Advanced SystemCare from the time you activate your key. Key will not add time to a current subscription, however it can be used once that subscription has ended. Redemption is limited to one device. 6. If you need technical assistance with Advanced SystemCare Pro, please refer to IObit support here. 1. Please download the Breevy Software from here. 2. Once the software is installed to your computer, launch the Breevy program and enter the key located in the email we sent you. 3. You can also manually enter the License key for Breevy via the Help Menu. 4. 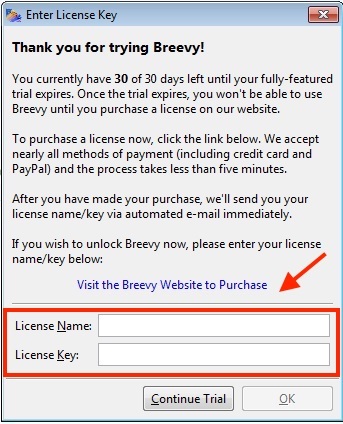 Once you have entered your license key, your copy of Breevy should be fully registered and you will no longer see the Enter License Key window when you launch the program. If you encounter issues with Breevy please contact 16 Software support via email. Please download the official trial version of Corel Painter Essentials 5 from the link provided. Once downloaded you can use the key contained in the email we sent you during installation to activate the full version. You can download Corel Painter Essentials 6 trial from here. During the installation process you will be prompted for a serial number. Enter the key from from the email we sent you and click Next to finish the installation. Once the installation process finishes, launch the program, you will be prompted to enter your email address to fully register the program. You should receive a confirmation message and the program will then launch. Enter the activation key that we sent you by email and follow the prompts to register the software. Please download and install the DAEMON Tools Pro 8 software provided. During the install for DAEMON Tools Pro 8 you will be prompted to register your email address or log into an existing DAEMON Tools account. Enter your DAEMON Tools key from the email we sent you in the serial number box and then click Next and continue with the installation. You should see a thank you screen displaying your registered email and your lifetime license status. Your lifetime license allows you to install the software on up to three PCs. If you need additional assistance please refer to the DAEMON Tools support page here. 1. Please download the DeskScapes software from here. 2. 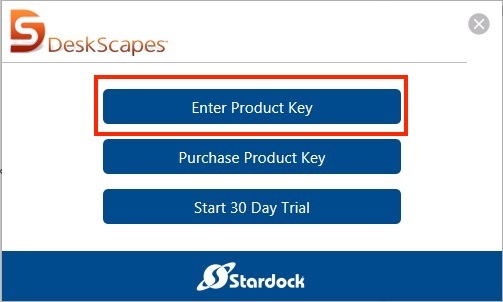 Once the software is installed on your computer, launch the DeskScapes program and click the Enter Product Key button. 3. Enter the product key located in the email we sent you. 4. 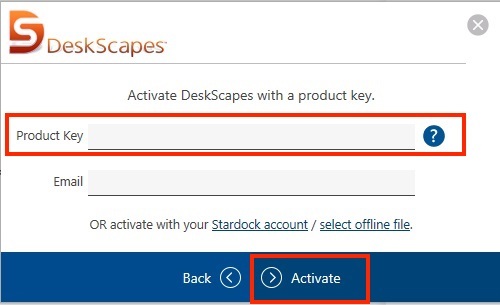 Once you enter your product key and hit Activate, your copy of DeskScapes should be fully registered. DeskScapes can be activated on up to 5 computers owned by the user. 1. Please download the Driver Booster PRO software from here. 2. 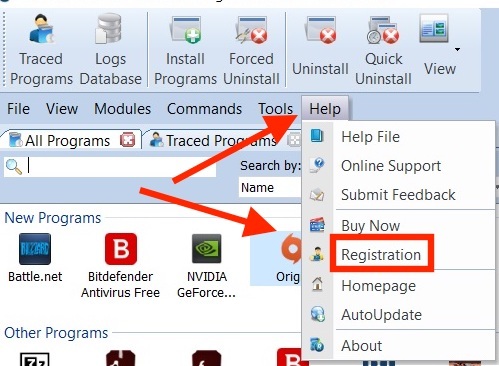 Install Drive Booster PRO to your computer and click 'Enter License' underneath the Activate Now button. 3. 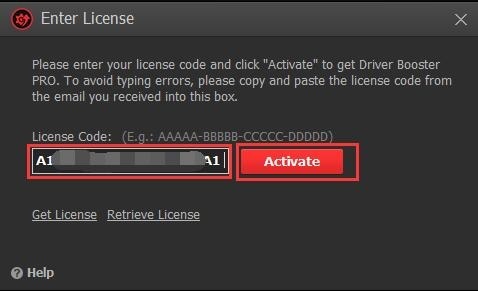 Copy the activation key from the email we sent you and enter it in the license code box and click Activate. 4. Your free copy of Driver Booster PRO should now be upgraded to the professional version. 5. 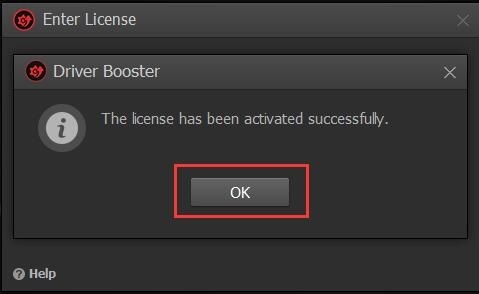 Your license key will grant you a 12 month subscription to the Pro edition features for Driver Booster from the time you activate your key. Key will not add time to a current subscription, however it can be used once that subscription has ended. Redemption is limited to one device. 6. 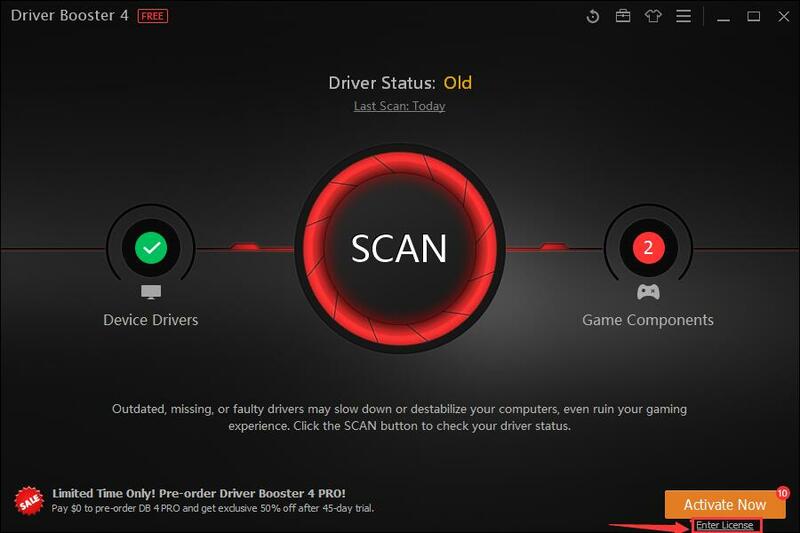 If you need technical assistance with Driver Booster PRO, please refer to IObit support here. After installing the trial software for Partition Master Pro, launch the program and click on the Activate button in the top right hand corner of the menu. You should see an Activation succeeded message once you enter the key. Your activation key will grant a single license for one device for use with the software. If you run into any trouble, please refer to EaseUS Support here. 2. 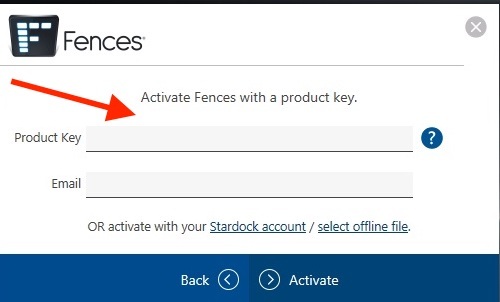 Once the software is installed on your computer, launch the Fences program and click the Enter Product Key button. 4. 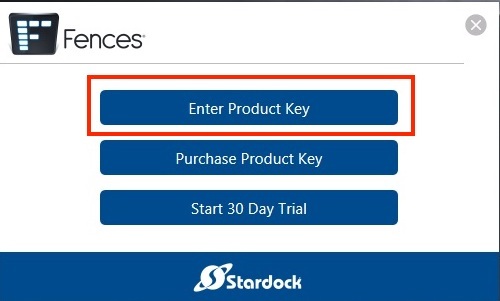 Once you enter your product key and hit Activate, your copy of Fences should be fully registered. Fences can be activated on up to 5 PCs owned by the user. 1. 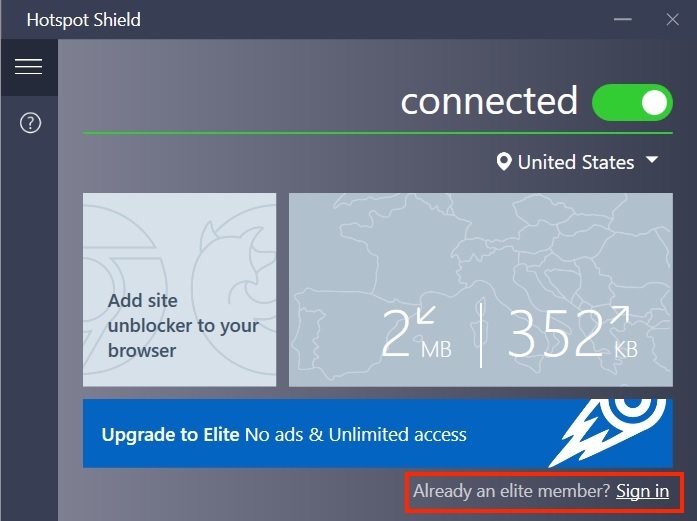 To redeem your HotSpot Shield Elite VPN license key you must have a HotSpot Shield account. You can create a Hotspot Shield account via the link below. 2. Once you are logged into your Hotspot Shield account click the 'Redeem License' button from your Dashboard. 3. Enter your license key contained in the email we sent you in the License number field on the HotSpot Shield Redeem license page and hit the Redeem button. 4. You should now be an elite user. 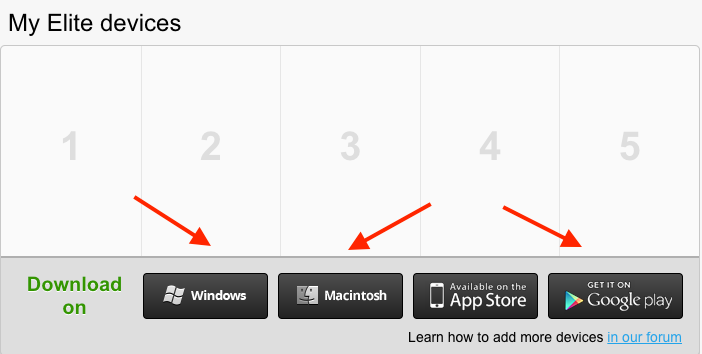 You can confirm this by going to 'View account history' from your dashboard. 5. 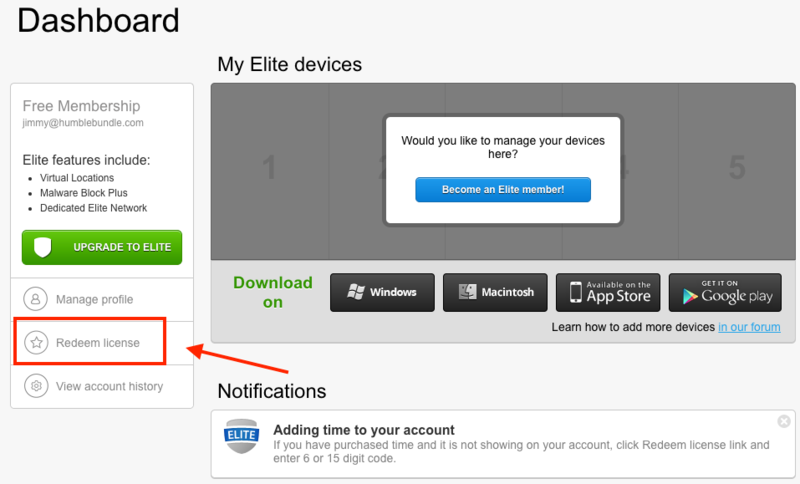 To link a device to your Elite account, download and install the appropriate version of Hotspot Shield from your Dashboard. 6. After you install Hotspot Shield to your device click the Sign in link. 7. Your device should now be linked to your account. If you encounter any difficulties with installing Hotspot Shield or linking your account please contact Hotspot Shield support here. 1. 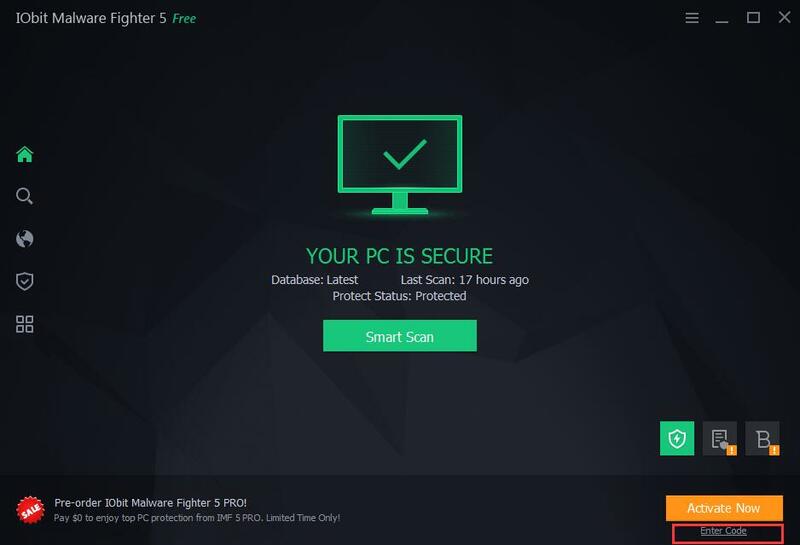 Please download the IObit Malware Fighter PRO software from here. 2. Install IObit Malware Fighter PRO to your computer and click 'Enter code' underneath the Activate Now button. 3. Copy the activation key located in the email we sent you and enter it in the license code box and click Register Now. 4. Your free copy of IObit Malware Fighter should now be upgraded to the professional version. 5. 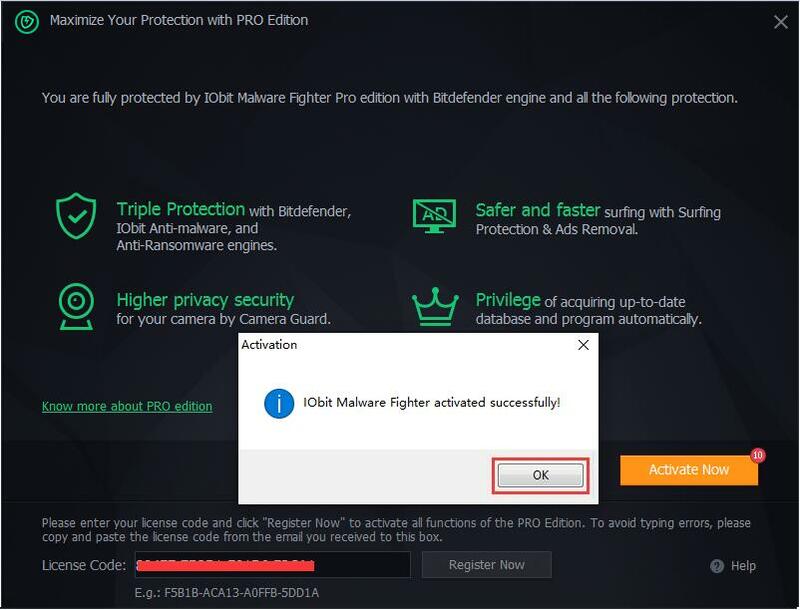 Your license key should grant you a 12 month subscription to the pro edition features for IObit Malware Fighter from the time you activate your key. Key will not add time to a current subscription, however it can be used once that subscription has ended. Redemption is limited to one device. 6. If you need technical assistance with IObit Malware Fighter Pro, please refer to IObit support here. Press "Enter Activation Code" in the bottom-right corner. Enter the key contained in the email we sent you and press "Activate"
Software may require you to create or login to a Kaspersky account. Download and launch the installer provided. You will be prompted for a serial number during installation. Enter the key from the email we sent you and click Next. After you fill out your information and register your copy online you should be set. You will now have a fully licensed copy of ACID Music Studio 10. If you encounter download or installation problems or require technical assistance with ACID Music Studio 10 please contact MAGIX Support here. 2. 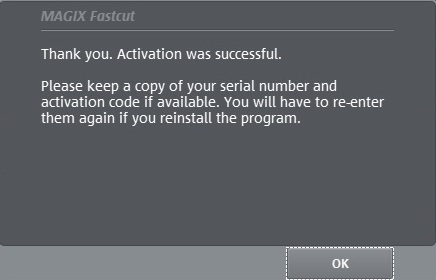 Once you finish the download and installation of Fastcut click the 'Activate with serial number' button. 3. Enter your email address and the Fastcut key contained in the email we sent you and then hit the Activate & register immediately online button to continue the installation process. 4. You will prompted to login or register a MAGIX account to proceed with the installation. 5. You should then see an activation window pop up. 2. 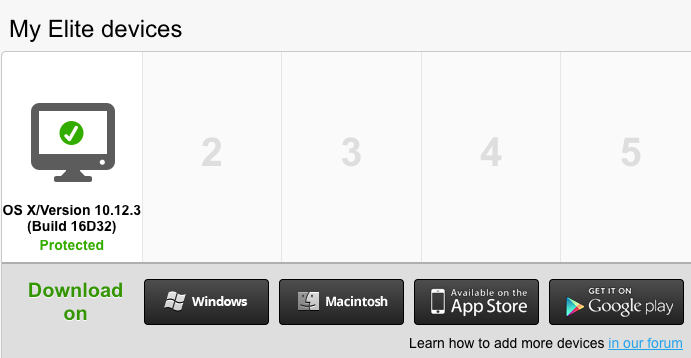 Now double-click on the file you just downloaded to start the installer. 3. The installation guide will appear. Simply follow the instructions on the screen to complete the installation process and then click “Continue“. All files are copied to the hard drive. 4. Once the installation is complete, confirm by clicking “Finish“. You can start the program at any time using the Windows “Start“ menu. 5. 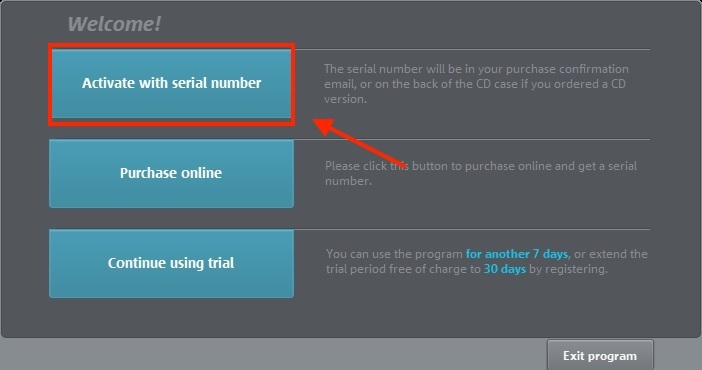 The serial number (located in the email we sent you) is required when you start the program for the first time. 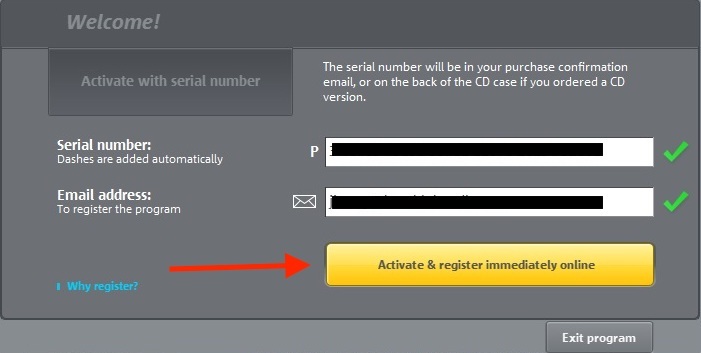 Enter the number in the activation window under “Serial number“. 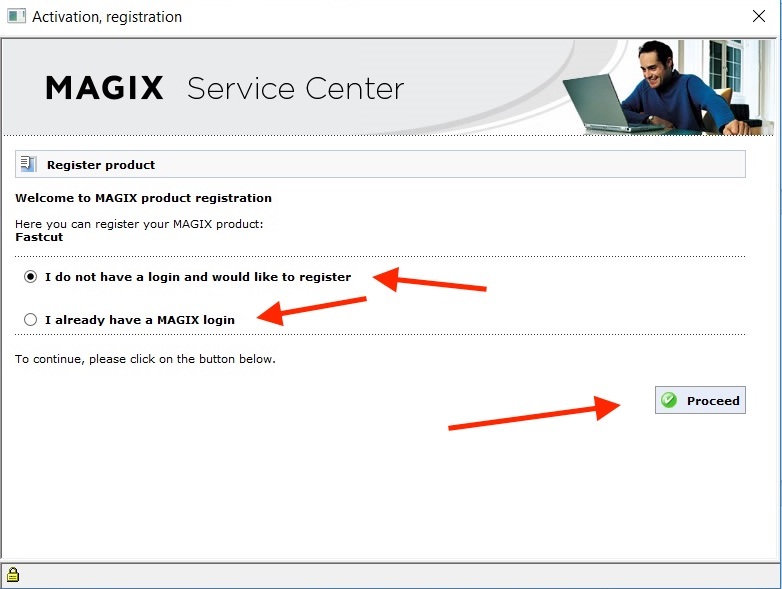 You will then be able to register with MAGIX using an e-mail address. If you need technical assistance with MAGIX Movie Edit Pro 2016 please refer to MAGIX support. To download and install Microsoft Visio Professional 2016 please visit https://setup.office.com and follow the prompts after signing in or registering for a new account. 1. To register your activation key for Panda Antivirus Pro first create or log into a Panda Account here. 2. Click on the 'I have a code' button. 3. Enter the activation key we sent you by email and hit confirm. 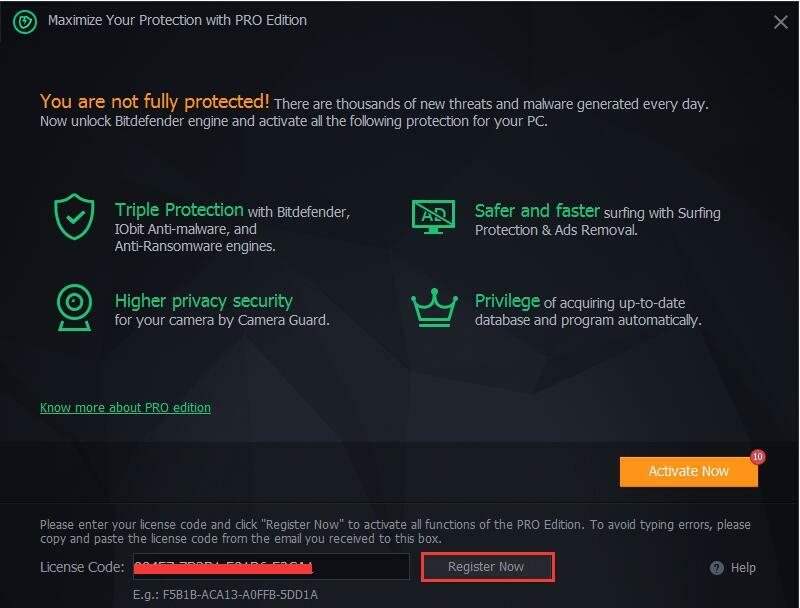 4) You should now see a registered copy of Panda Antivirus Pro on your account along with the expiration time. To download the software, simply click on the product to visit the download page. For technical assistance with Panda Antivirus Pro or subscription issues, please visit the Panda Security support page here. To redeem your activation key for Privacy Guardian please follow the instructions below. 3. Enter your Privacy Guardian activation key from the email we sent you and your email address then hit the Activate Now button. 6. If you have any technical issues regarding the software please visit Iolo Support. 1. Please download the REVO Uninstaller Pro software from here. 2. Save the .exe file to your computer and then double click it to begin installing the software to your computer. 4. Enter a username and the activation key from the email we sent you and then click 'Activate Online' to register. 5. You should then see confirmation that your activation key was successfully registered. 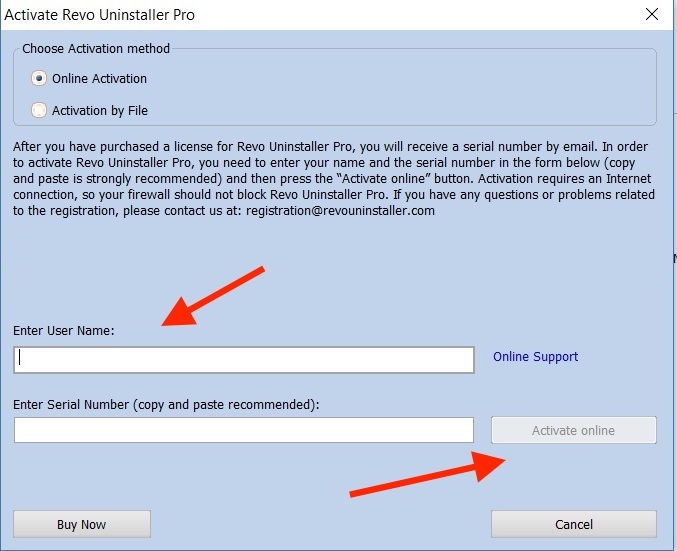 Your activation key will grant you a lifetime license for Revo Uninstaller Pro version 3.1.9 including any micro updates for all version 3 (i.e. version 3.2, version 3.3, etc). You will need to purchase a new license if you choose to upgrade to version 4.0 and above when they are released. 1. To activate your copy of Soda PDF Home, simply download the software from here. 2. Once you have installed Soda PDF Home, simply launch the program and click the Activate tab on the far right side of the program. 3. Enter the activation key located in the email we sent you and click Validate. 4. Your copy of Soda PDF Home should now be activated. For technical assistance with Soda PDF Home, please visit the Soda PDF Home knowledge base. 1. Please go to this website and enter the serial number we sent you by email to download your purchased software. 2. Install the software and enter the serial number when prompted. 3. After you fill out your information and register your copy online. You should now have a fully licensed copy of Sound Forge Audio Studio 10. For technical assistance with Sound Forge Audio Studio 10 please contact MAGIX Support here. 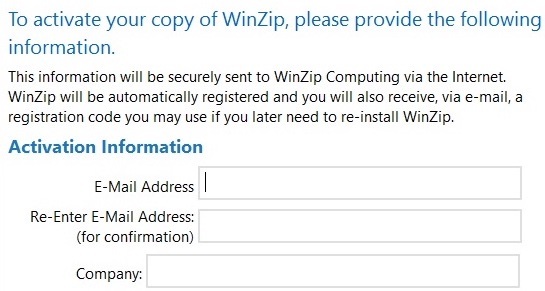 To install WinX DVD Ripper Platinum please follow these instructions. 1. First download and install the WinX DVD Ripper software from here. 2. After launching WinX DVD Ripper Platinum, enter the activation key that we sent you by email and click Activate. 3. Your copy of WinX DVD Ripper Platinum should now be registered. To install WinX HD Video Converter Deluxe please follow these instructions. 1. First download and install the WinX HD Video Converter Deluxe software from here. 2. After installing WinX HD Video Converter Deluxe enter the activation key we sent you in the email and click Activate. 4. Your license key should grant you one lifetime license for WinX DVD Ripper Platinum. If you run into any technical issues please contact Digiarty Support here. 1. 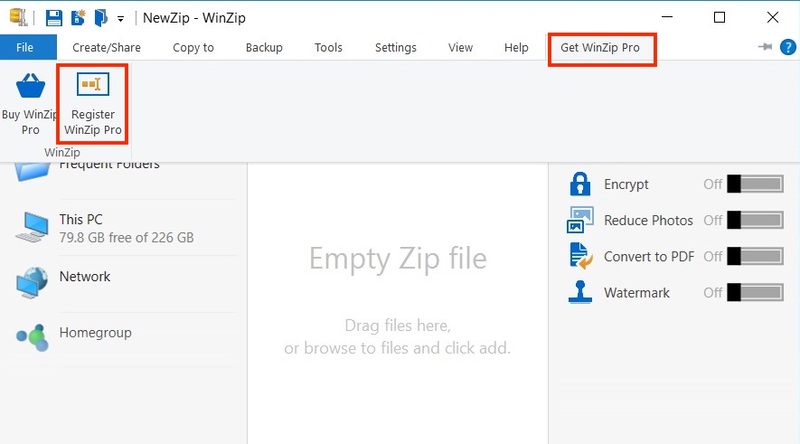 Please download Winzip from here. 2. When you first install Winzip you will see a Thank you screen pop up. 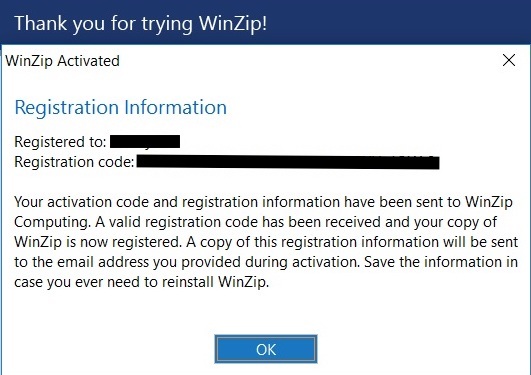 Enter your name and then copy your Winzip activation key located in the email we sent you and enter it in the 'Registration/Activation code' field. Then hit the Register button. 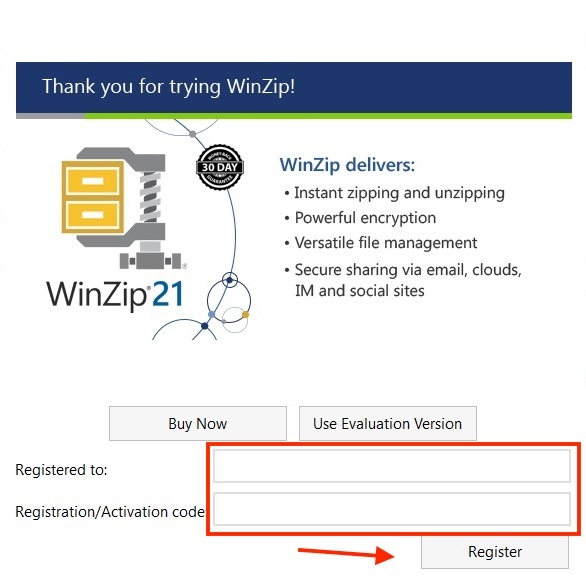 For technical issues with WinZip 21 Standard Edition please visit the WinZip support center here. 2. Enter your key in the License key code box and hit the verify button. If you have not created an XSplit account or have not logged into your account you will be prompted to do so once you hit verify. 3. You will see confirmation that you will be redeeming a 3 month license. Hit 'Redeem Now'. 4. 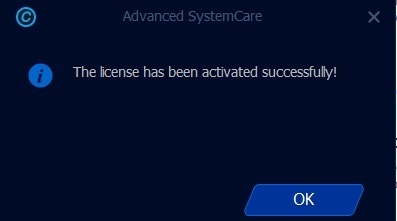 You will then see a confirmation screen congratulating you on receiving your license. For technical assistance with XSplit, please visit the XSplit Support Center here.